Quartzsite is located in western Arizona, just 20 miles east of the Colorado River on I-10. It's been a rockhound's paradise since the 1960s. These days, it's also a mecca to well over a million visitors each year, most of whom converge on this small town in a wave of RVs during the months of January and February. 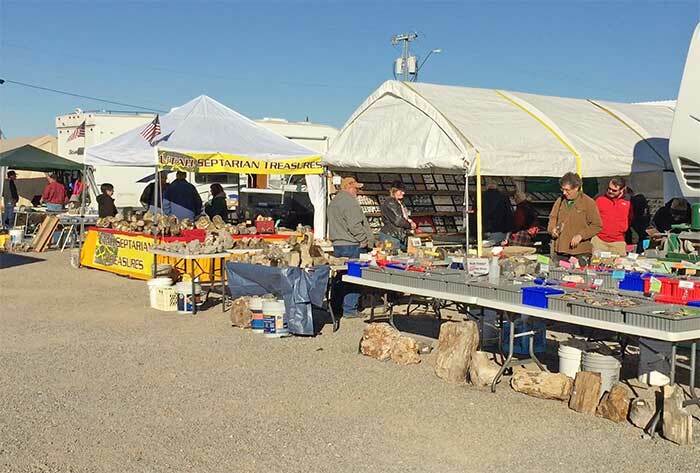 At this time of the year, 2,000 vendors of rocks, gems, minerals, fossils and everything else imaginable create one of the world's largest open air flea markets in Quartzsite. 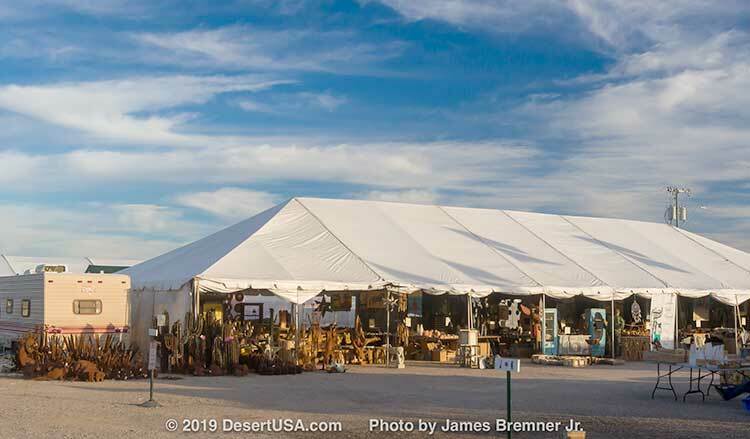 Eight major gem and mineral shows as well as vendors of raw and handcrafted merchandise peddle their wares to snowbirds, collectors and enthusiasts, making Quartzsite the place to be the first two months of each year. 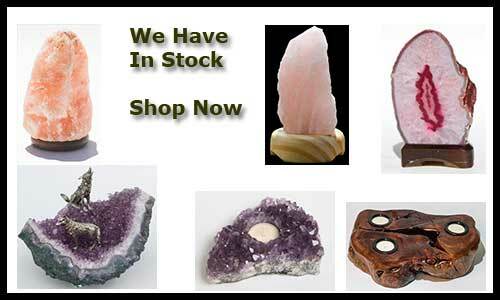 Quartzsite has a classic low desert climate with extremely low relative humidity and very high summer temperatures. On the average, it receives less than 4 inches of precipitation a year. Stores, shops, restaurants, theaters and homes are air-conditioned year round in Quartzsite. June, July, August and September temperature are in the 100 plus area. In 1856, settler Charles Tyson built a fort at the present site of Quartzsite to protect his water supply from attacks by Native Americans. Fort Tyson soon became a stopover on the Ehrenburg-to-Prescott stagecoach route, eventually becoming known as Tyson's Wells. After the stage stopped running, it became a ghost town. A small mining boom revitalized the town and it became known as Quartzsite in 1897. It remained a mining town until 1965, when the Pow Wow Rock, Gem & Mineral Show initiated the rockhound winter migration to Quartzsite each year. 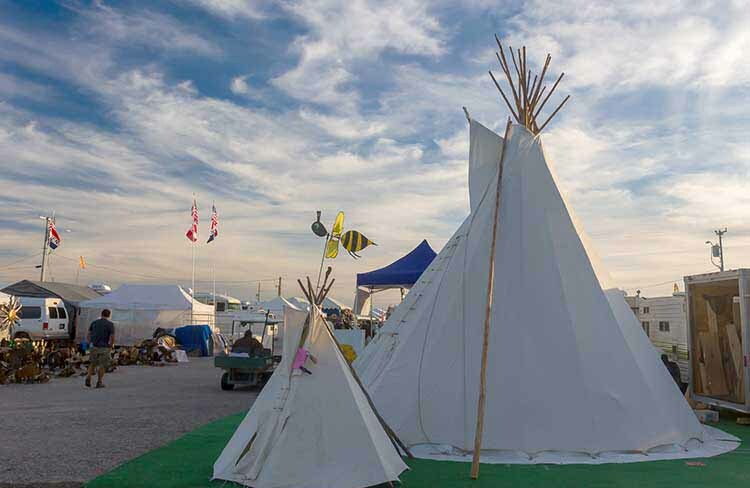 These days, the population can swell to almost a million during January and February as rockhounders, jewelers and vendors, mostly in thousands of RVs, attend the eight major gem and mineral shows. February 8-10, 2019 QIA building. Friday - Saturday 9-4 Sunday. 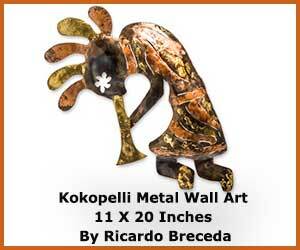 An artist for all ages, Ricardo has opened his vision and artwork to all who wish to enjoy it. His transformative art adds a unique addition to any landscape or home. See his art in Borrego Springs. Ehrenburg, Arizona: 17 miles west. Blythe, California: 25 miles west. Parker, Arizona: 35 miles north. Yuma, Arizona: 83 miles south. Wickenburg, Arizona: 111 miles northeast. Phoenix, Arizona: 125 miles east. Joshua Tree National Park: 94 miles west. Riverside County river parks: 25 miles west. Buckskin Mountain Colorado River Park: 47 miles north. Lake Havasu State Park: 57 miles north. Alamo Lake State Park: 71 miles northeast. Kofa National Wildlife Refuge: 5 miles south. Cibola National Wildlife Refuge: 40 miles south. Imperial National Wildlife Refuge: 50 miles south. Hi Jolly Memorial: 5 miles east. General Patton Memorial Museum: 86 miles west. Parker Dam: 50 miles north.